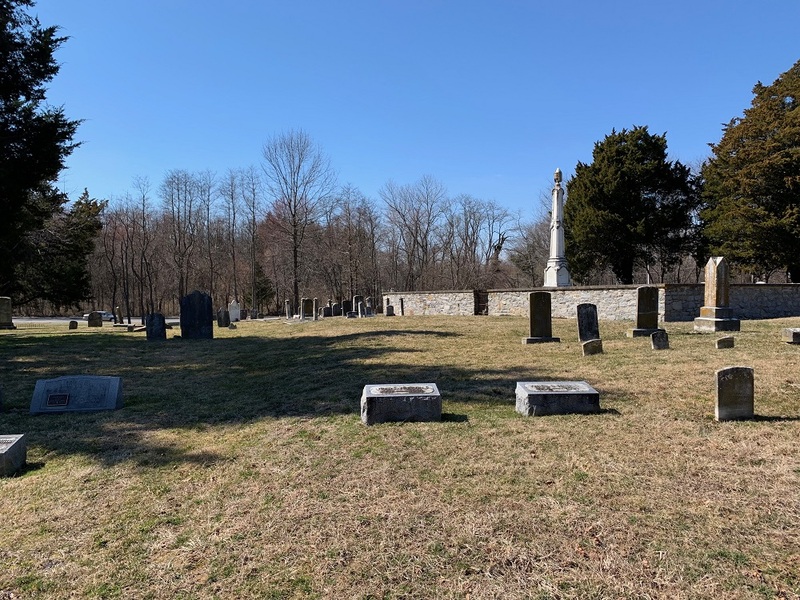 On May 17, 1740, one acre of this land, located between Green’s Branch and the Duck Creek Crossroads, was donated by Mr. Thomas Green for the purpose of a church and graveyard. The original wooden chapel finished in 1744 as well as the larger brick church built in 1764 were located on this site. When the Vestry decided to move the church building closer to the center of town in 1827, the brick church was razed. According to folklore, some of the church bricks were used in the foundation of the new church as well as in the wall erected around the Cummins’ family lots in the cemetery. This property was then used solely as a cemetery. Unfortunately, many of the tombstones erected in the eighteenth century are no longer legible. Initially, this land was on the main road called King’s Highway. Today, this road is an extension of North Main Street. The cemetery sits with the George C. Wright Jr. Memorial Park across the street to the east, the North Smyrna Elementary School across the street to the south, and Governor’s Place Apartments to the west. 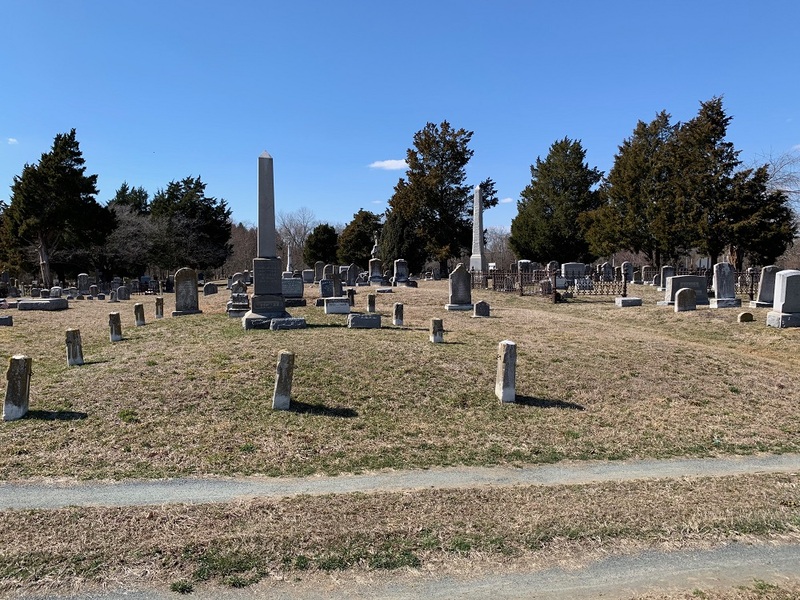 St. Peter’s Cemetery is the burial site of three governors of Delaware, including Thomas Collins, who was Governor of Delaware when Delaware ratified the U.S. constitution, making it the First State. John Cummins and his family are buried in the cemetery. Mr. Cummins was a prominent citizen of Smyrna during the 1700s and was said to have been the wealthiest man in Delaware at one time. He donated the land that St. Peter’s Church sits on today. Also buried in the cemetery are Mr. and Mrs. Elmer Taylor, who survived the sinking of the Titanic on the night of April 15, 1912, and Navy Surgeon George Culbreth, who perished when the USS Huron sank in a storm off the coast of North Carolina in 1877. Francis Ronald Downs Swain, an Air Commodore in the Royal Air Force of England is also buried here. Air Commodore Swain set the world high altitude record in 1936. When cemetery plots were sold in 1700s, perpetual care of the ground was not considered. Either animals kept the grass cut or members and/or relatives volunteered their time and equipment to mow the grass and trim around the tombstones and markers. Eventually $11.25 was included in the price of each plot for perpetual care. That price was later increased to $35 and then to $90. Throughout this period members and/or relatives still volunteered their time and equipment to cut the grass. 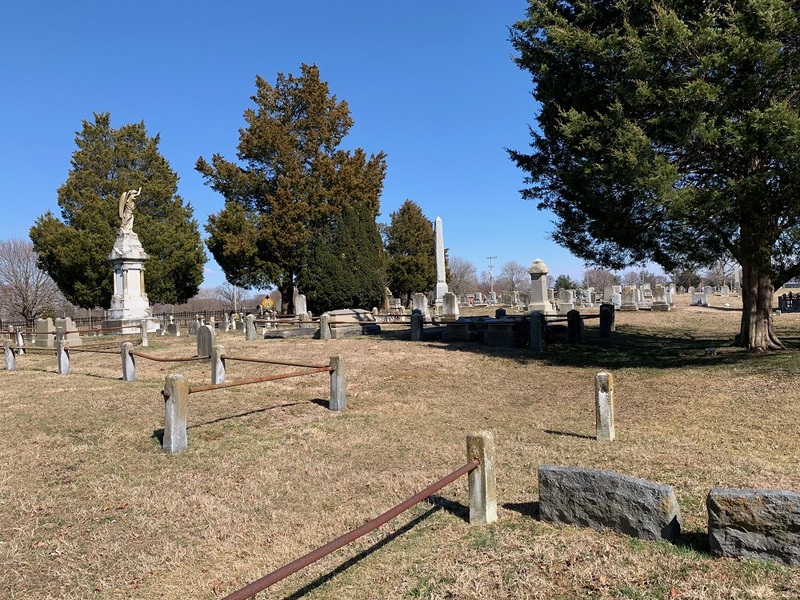 Today, families’ calendars are packed full, our cemetery has grown much larger, and many relatives have either moved or passed away making it necessary to hire a professional service to cut the grass, trim around all the stones, and trim the large trees and bushes. Perpetual means “everlasting, never-ending, and permanent”. Investing $11.25 or even $90 into a savings account today, earns less than one dollar a year, which is not sufficient to cut the grass on that plot throughout the year. In seeking to be good stewards today, $800 of the cost of a plot goes into our cemetery perpetual care endowment for future expenses. In today’s financial markets, this generates about $45 annually in earnings; a more feasible amount to pay for the future upkeep of the plot. Who can really predict with certainty future earnings potential or maintenance expenses fifty or 500 years from now? If you wish to contribute to St. Peter’s cemetery perpetual care endowment, please send a check payable to St. Peter’s Episcopal Church and mark “cemetery endowment” on the memo line of the check. Thank you in advance for your generosity and care! Building up our cemetery perpetual care endowment will enable this historic cemetery to become financially self-supporting and cover other maintenance costs — such as tree trimming, weather related events, tombstone repairs, fence maintenance, and plotting the lots. We are committed to continue providing hospitality as well as ongoing dignity and respect to all those who have been entrusted into our care.